Have you ever said to yourself: "SELF! I'm bored... I need to come up with something to do that wont randomly injure myself like usual." "I know self! 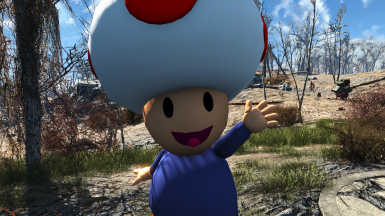 I should extract the Pool Ball mesh from the Fallout 4 game and one by one bring them into Outfit Studio and using only those tools morph and confrom those Pool Balls into some horrific abomination that I can turn into a Statue for everyone at Nexus Mods to "enjoy"." What...? It's not weird! I mean glorious masterpieces like this would never have been brought into existance if it wasen't for [s]insanity[/s] boredom. 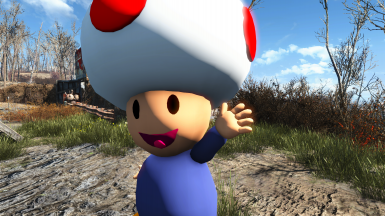 It is like Toad was cryogenically frozen alongside you and your waifu or husbando. 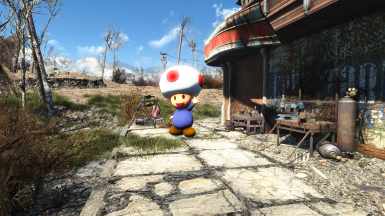 You know that you want it... that you will not be able to continue playing Fallout 4 without it... 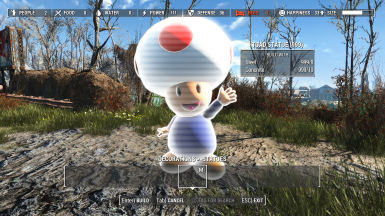 I bring to you my maticiously crafted [s]horrifying abomination[/s] beautiful masterpiece "Poolball Toad Statue"!! 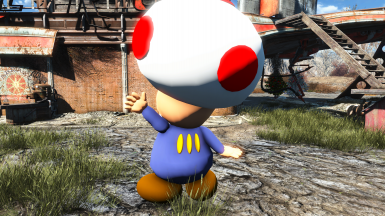 This Toad was made entirely by me using Fallout 4 assets, Poolballs to be specific, 31 of them to be even more specific.